Alright everyone...I'm starting accutane again. 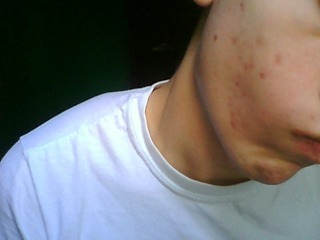 I finished accutane in May of 2009. A month ago I was still clear. Now I got a few zits and accutane is all that works for me. So, since I'm allergic to Mino and tetracycline and creams don't work..I gotta do accutane all over again. cool! All I can see is clear skin, or is that just me? hahah! it's just you. Where i mostly break out a bit is the sides you can't see. I just feel a whole lot better when I'm face on cause my skin looks semi-clear. umm..I will definitely upload some pictures of my acne. I just thought I'd introduce myself first. haha. I still don't know if my bloodwork came out okay..I find out today...hopefully..
alright everyone! Everything's good to go and I'm picking up my accutane monday! WOO. I love accutane!!! well..amnesteem. Good luck! And hope it kills the acne for good this time!!! They say there's an 80% chance that during the second course of 'tane, the acne won't reoccur again. Good luck with the second course, I'm also on my second course (about 9 days in) at this point, so check out my log. I'll be sure to check back on yours to see how you're progressing... you shouldn't be too far behind me in terms of days if you start soonish. HA, its funny. I looked at some of your posts and your experience on epiduo. I feel the exact same way. I break out badly, it heals, 3 days later, more acne. Yeah, I will definitely follow your blog! Good luck, i'm right behind you. Interests: EVERYTHING! but water skiing and smoothies are the best!! hey. ur skin looks great! tho it probly a good idea to go for it again with the tane. this time it probly wont come back at all. --thats what ive heard. anyway good luck an keep posting! A) you will definitely get dry lips. but other than that, none! and I was on an average of 50 mg a month. i went up and down throughout the course. I hope you consider it! they really do overdo the side effects! If I had bad side effects, I definitely wouldn't take this drug a second time. and if anyone has any questions about accutane, feel free to ask! I really like answering questions, and it makes time and my course go by a lot faster when I keep myself updated on this site! btw, if ANYONE has any questions about accutane, feel free to ask! I'm totally here to help answer questions, as well as track my progress. It's fun to read back on your course 6 months later! This time I'm gonna update my course better. I got lazy last time, heh. im going to try everything i can before accutane, just cuz i know that for some people it doesnt work as well as others. i do run, and i have joint problems allready :/ but i can handle that for my acne to go away . do you have any scarring or red marks? im looking into good products for red marks cuz i dont want it getting any worse. do you know of any?? Good luck on your second round!!! Hm. Well, I have red marks now, but while I was on accutane they did fade. I was clear for about six months, then I had a bad breakout, and I'm still recovering. As for products, I have been on the same regimen for the past year and I don't want to try any experiments just because I don't want my face to negatively react. Epiduo actually helped with redness, but it does dry your face. I use Aveeno moisterizer, Clear complexion 2X a day. I do have some scarring, but it is kind of minor, if you look closely it is a large area that runs down the side of my nose. It's not really really noticable, but it is there. 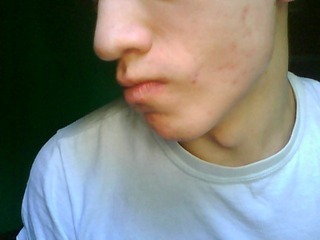 I am going to get that surgically taken care of in about a year, (6 months after your last course of accutane). I have my accutane in my cabinet, 40 mg a day! I was so curious as to how much my derm prescribed for me, she never told me. But I am definitely satisfied with 40 mg a day. I'm lame. Sorry. I'll post somethin tomorrow! &Hopefulfortoday: Thanks! Good luck to you too! okay everyone! I took my first pill. Feels so good! hah. Actually, I don't feel anything at all. HINT! * If you want accutane to work at its best, take it with a scoop of peanut butter, it absorbs well with fat. Today I went to UF, its a beautiful campus. I left at 4 am, and I haven't slept at all since yesterday at work. haha. 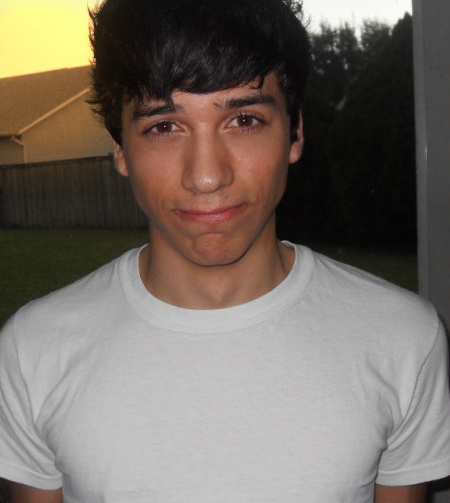 But I promised pictures, so even though I have raccoon eyes, I uploaded a few for my first day. I probably shoulda moisterized and cared about what I looked like before posting these on the internet. oh well. heh. Anyway, keep those comments coming! con-grads on ur first day of tane!! So, nothing's changed...my lips might be a little dry, but maybe that's just psychological. I spent the day cleaning my house. I haven't even been outside yet. Spring break is awesome. It's really nice out! I hate Florida though, this weather won't last. I especially hate hot weather...people say cold weather is worse for acne but I vehemently object. lol. Hmm....is there anything else to say...not really. I forgot how long it takes to feel the effects of accutane..but I am on my way to the gym right now.. hopefully my joints are okay. It's only been a day, after all...I don't really have much else to say. About the joint aches. I love running and it would ruin my summer if I couldn't do sports! Fish oils should take care of that issue? Have you tried it? hesitation: Fish oils may help, but will certainly not 'take care of the issue'. Accutane is super powerful and it will hinder your running ability. I tried it but still I couldn't run for more than...1/2 a mile. If you have a gym nearby, you might want to try using the ellipticals and especially the arc trainer. Exercise Tip: Non-impact machines are the best cardio machines for people with chronic joint problems (people on accutane). The arc trainer can get your heart rate up effectively without putting too much stress on your legs. In short...You can try to run, and maybe you'll be fine, but to surely avoid injuring yourself, stick to non-impact machines, or limit yourself to the amount you run. With my experience, you just can not make it very far running on asphalt or sidewalks, even with the help of fish oils, and I run 3-5 miles a day. i tried fish oil a while ago and yes it helped. tho my joint problems weren't related to accutane. i would definitely recommend using it..
Congrats on getting back on the Accutane... I saw the pics you posted and that's pretty much the amount of acne I had when starting my second course so we really are in the same boat. Hopefully the first few weeks go well for you in terms of the IB and all. Hey Celtics, I didn't get an IB when I first used accutane, so I'm hoping for a second course without an IB. t dry (yet) but I find myself licking my lips more often. Not sure why. Hmmm.....I ate a lot. I hope that does well for the absorption of the accutane. I'm lame. I ran last night, no problems. Hm...Tomorrow I'm looking / possibly getting my apartment for my move to UF this fall. I'm pretty stoked about that. Oh, as if being on Accutane isn't geeky enough (klidding guys), turns out I'm getting braces on my birthday. 20 years old, need braces. My teeth arent even bad, just an overbite. Dentists just want some profit...lol. I LOVE MY LIFE!! oh well, at least by this time next year I will have fantastic skin and fantastic teeth. Hopefully something happens tomorrow so I don't have another boring blog that no one cares about! I have a headache. I'm not sure if it's accutane related or if it's just because I've been out in the hot sun all day. Whatever it is, it's definitely not a good idea to be out in the sun all day while on accutane. but it's my spring break so too bad. 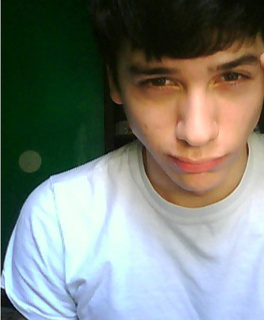 (: Anyway, my upper lip is starting to get dry, that's good news..haha. Hm...any side effects besdies that ? Not really. Maybe increased driving ability. I avoided a seriously deadly car accident today. Still shaking a little over that one. I hope everyone had an awesome Good Friday!